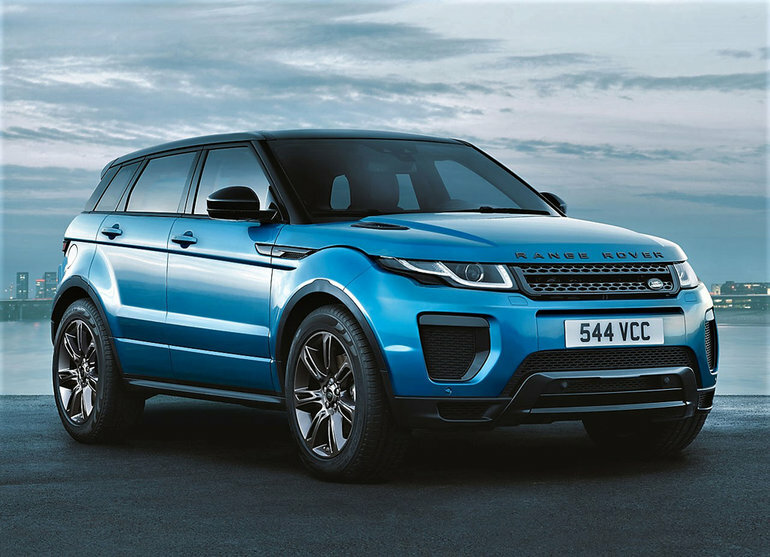 The Range Rover Evoque is one of the most revered compact sport utilities in the luxury sector, but that hasn’t stopped the British brand from making it even more compelling for 2018. In fact, Range Rover has finally answered a plea from fans for more power by fitting a totally new range of turbocharged and direct-injected Ingenium engines. The new 2.0-litre four-cylinders are completely designed and built in-house, with the base version receiving 237 horsepower and 251 lb-ft of torque, and the top-line variant 286 horsepower and 295 lb-ft of torque. Both continue to mate up to an adaptive shift program enhanced nine-speed automatic. Of course, performance is considerably stronger with the upgraded Evoque capable of sprinting from standstill to 100km/h in only 6.4 seconds, which is 1.2 seconds quicker to 100km/h than the outgoing Evoque, plus 4 km/h faster overall at 221 km/h. Also impressive, the base Evoque shaves 0.3 seconds from the old model, completing its zero to 100km/h run in just 7.3 seconds. The innovative Evoque Convertible doesn’t feature a high-output version yet, but the new base engine nevertheless increases zero to 100km/h performance from 8.6 seconds to 8.1, while its top track-speed grows from 180 km/h to 217 km/h, which is now the same as the outgoing and current five-door base Evoque’s top speed. The zestier engine comes in the 2018 Evoque’s HSE Dynamic and Autobiography trims, which also include a sportier front fascia, unique 20-inch alloys, bright square exhaust pipes, adaptive and configurable dynamics, auto high beams, a sport steering wheel, bright metal sport pedals, Windsor leather upholstery, ambient interior lighting, a Homelink universal garage door opener, 10-inch infotainment, upgraded navigation, WiFi, plus other exterior and interior enhancements, while the Autobiography adds unique exterior trim, adaptive HID headlamps with LED signatures, upgraded interior finishings, 14-way powered front seats with forced ventilation and memory, specially embossed Windsor leather upholstery, 16-speaker 825-watt Meridian audio, and more. At the other end of the Evoque spectrum, a new value-focused five-door Landmark Edition combines the less formidable engine with unique dark grey gloss finished 19-inch seven-split-spoke alloy wheels, a choice of three exterior colours including Yulong White, Corris Grey and exclusive Moraine Blue, plus a standard Carpathian Grey contrast roof, Graphite grey and gloss black exterior trim, an Ebony black interior with Lunar stitching and dark satin brushed aluminum inlays. Additional Landmark Edition features include fog lamps, auto-dimming side mirrors, proximity keyless access, a powered gesture rear liftgate, and a more powerful eight-speaker audio system. It should be noted the base Evoque is already a very well equipped luxury SUV, with standard features that include off-road capable four-wheel drive with Terrain Response and All Terrain Progress Control, handling-enhancing torque vectoring, power-folding side mirrors with approach and puddle lights, an electromechanical parking brake, pushbutton ignition, a heatable leather-wrapped steering wheel, rain-sensing wipers, a colour TFT multi-information display within the primary gauge cluster, dual-zone auto climate control, an auto-dimming rearview mirror, front and rear parking sensors, an 8.0-inch infotainment touchscreen, a rearview camera, navigation, heatable 12-way powered front seats, leather upholstery, and much more. The new 2018 Evoque Landmark Edition starts at $54,000, which is just $4,100 more than the $49,900 base SE model, while the more powerful engine in HSE Dynamic trim can be had from $64,500. The Evoque Convertible is available from $66,000. To find out more about the new 2018 Range Rover Evoque or take one for a test drive, contact Land Rover Vancouver by phone at (604) 738-5577 or drop by the showroom at 1730 Burrard St, Vancouver.